Yousuf’s adventures may be everyday to him but they are pretty special, thanks to plenty of input from the imagination – triggered by the game he plays with his Mommy one bedtime when he can’t get to sleep: Imagination Time Travel. As Yousuf says when his Mom suggests it, ‘That sounds cool!’. The game is at the heart of both Dreamland with Mommy and Beautifully Different. In Dreamland with Mommy, Yousuf starts off on a magic carpet, from which he plunges into a huge strawberry pie, and then ends up working out the answer to a riddle set by Gerard the Wacky Pirate. In Beautifully Different, Yousuf’s Dad plays the game with him this time, using it as a tool to explore issues of sameness and difference, – maybe, Yousuf suggests, if everyone was the same, then noone would tease anybody else about ‘the way they look, or because they read so much’. It is important to note that the differences Yousuf is expressing suggest cultural and ethnic differences – but also personal preferences in terms of activities or even dress. Dad leads Yousuf on a journey of the imagination into Flowerland to discover that ‘Being different is being beautiful,/And that is never bad’ – and that working together ‘we can make beautiful things’. If this sounds sweet and simple, well – it is, and it is pitched just right for the age of the books’ intended audience. With their cartoon-style illustrations in bright colours, and a smiley, big-eyed, brown-skinned Yousuf, the books will definitely appeal to young children. So how does the game work? The leader (here Mom or Dad) throws out four lines of verse (rhyme scheme abcb) then uses the response to guide the next step in the story – and spontaneity is the key; if the rhymes provoke some far-fetched flights of fancy, so much the better! Here, although Yousuf is following a lead each time, he takes control of the story each step of the way. Then because these are picture books, they are good vehicles for the happy conceit of suspending disbelief to depict Yousuf’s adventures as though they are actually happening. 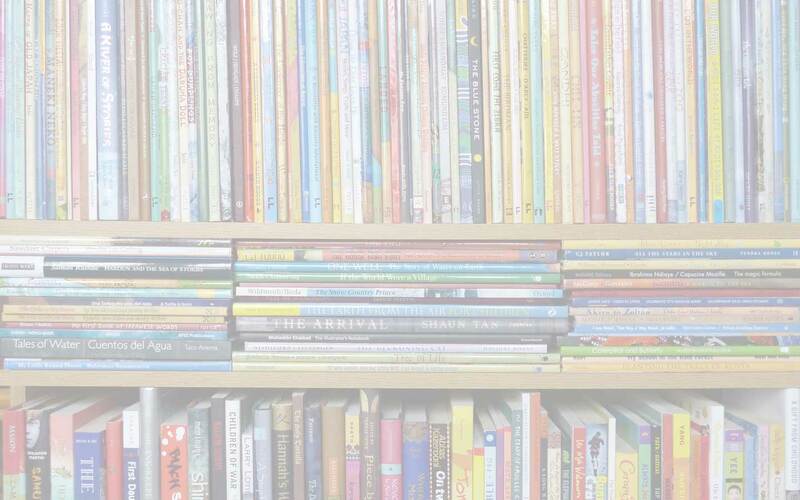 The game could easily pass into a family’s own repertoire: and the books show that it can be played just for fun, or with the purpose of exploring some serious issues and questions in a way that guides children to come up with answers for themselves. A special mention also has to go to the ‘Did You Know?’ page at the end. Dreamland with Mommy offers a quotation from the Qur’an that runs parallel with the answer to the pirate’s riddle: a beautiful way for a child to discover a story from the Qur’an, whether or not they are Muslim. Beautifully Different offers three quotations from world figures across faiths who ‘stood out and made the world a better place’: the Prophet Muhammad, Mother Teresa and Mahatma Gandhi. Yousuf’s Everyday Adventures are sweet, simple stories with a mighty strength at their core; they offer a great tool for instilling self-esteem and respect for, and indeed celebration of, diversity. 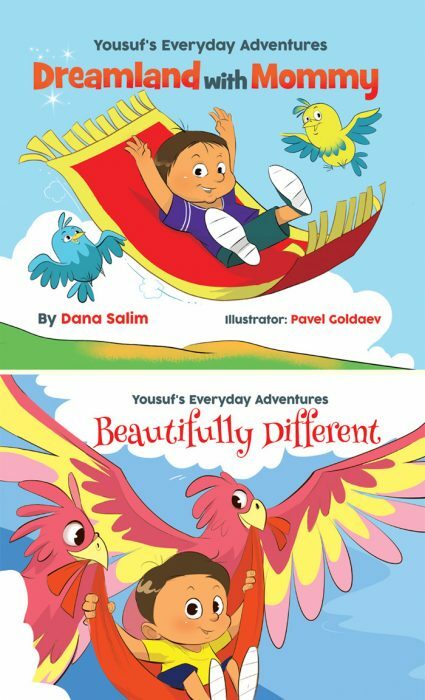 Beautifully Different, Dana Salim, Dreamland with Mommy, DS Publishing (US), MWD book reviews, Pavel Goldaev, Yousuf's Everyday Adventures. Bookmark. Cute bedtime stories. Never thought of suggesting a theme like time travel to encourage kids to dream big. And, I like introducing kids to making the world a better place. Important quotes and themes. Yes, I don’t think you can ever start too early!